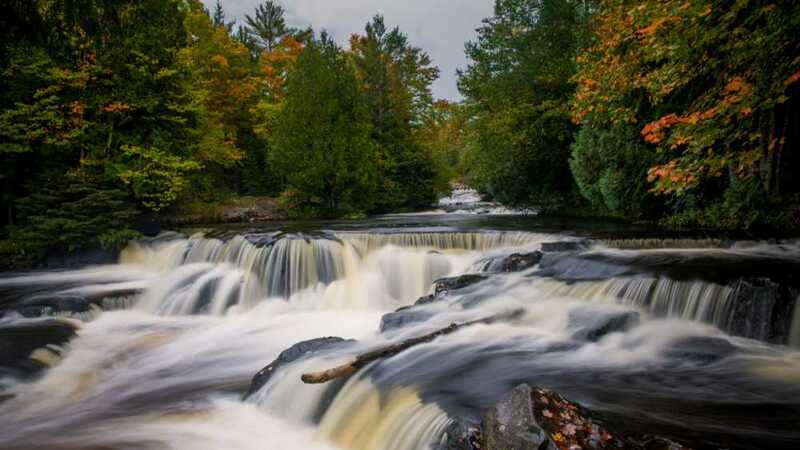 Bond Falls is a scenic and popular waterfall in southern Ontonagon County. The falls are created as the middle branch of the Ontonagon river tumbles over a thick belt of fractured rock, dividing it into numerous small cascades. Total drop of the falls is approximately 50 feet. Currently, roadside parking and picnic tables are available near the top of the falls. An accessible boardwalk with six viewing locations are also available at this location.